Dr. Benjamin Sandler is an assistant clinical professor at the Mount Sinai School of Medicine and attending physician in the division of Reproductive Endocrinology and Infertility at Mount Sinai Medical Center in New York. 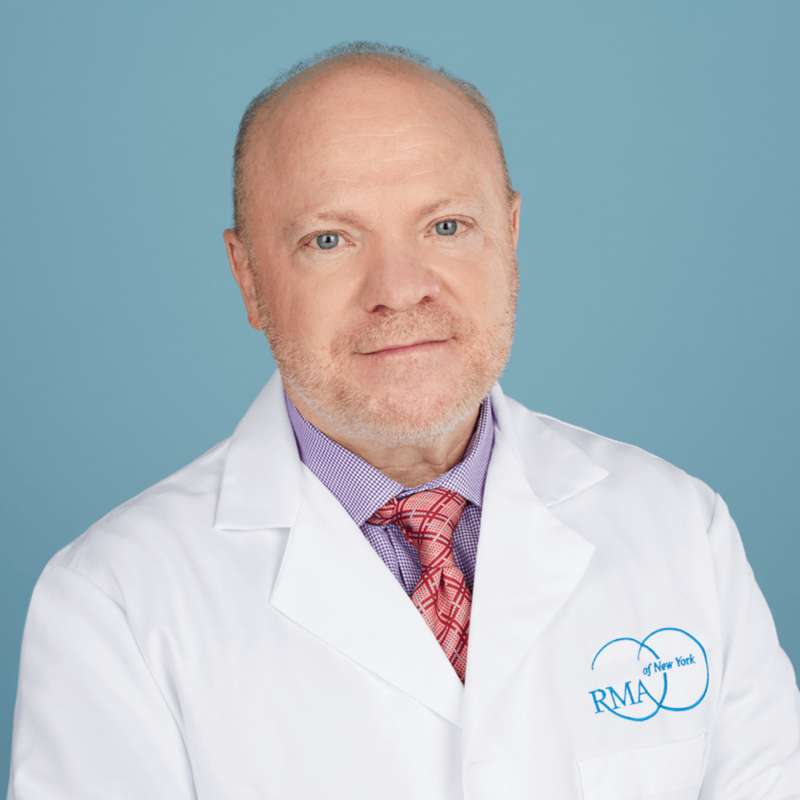 He is co-director of Reproductive Medicine Associates of New York. Dr. Sandler completed his residency in Obstetrics and Gynecology at Michael Reese Hospital and Medical Center in Chicago, and a subspecialty fellowship in infertility and reproductive medicine at the Mount Sinai Medical Center in New York. Dr. Sandler is board-certified in Obstetrics and Gynecology and is well recognized for his role in creating and popularizing many current in vitro fertilization protocols. Dr. Sandler has authored several book chapters and multiple scientific articles on infertility and has lectured at both national and international meetings. He was the co-author of prize-winning papers in the area of Assisted Reproductive Technologies at the prestigious American Society of Reproductive Medicine annual meetings in 1990, 1991, 1998, and 2005. Dr. Sandler was selected for inclusion in the NY Metro Guide: How to Find the Best Doctors, and was recognized by New York Woman Magazine in 1991 and the Better Living Magazine in 2004 as one of the best infertility specialists in New York. New York Magazine repeatedly has championed Dr. Sandler as one of the “Best Doctors” of New York in their annual editions since 2004. SuperDocs annually features him as a leading physician in their New York listing, and Latino Leaders Magazine featured him in its “New York’s Finest” issue in 2006 and in a healthcare leaders article in 2011. He received the American Fertility Association Family Building Award in 2001 for his years of dedication and commitment to the treatment of couples experiencing infertility. Dr. Sandler is a Fellow of the American College of Obstetrics and Gynecology and a long-standing member of the American Society of Reproductive Medicine. He received the STAR Award from ASRM for his contributions to the society. Dr. Sandler’s practice concentrates on the diagnosis and management of difficult infertility cases, using state of the art assisted reproductive technologies. Vol. 108, No. 6, December 2017. Vela G, Ruman J, Luna M, Sandler B, and Copperman AB. Profound pituitary suppression following oral contraceptive pretreatment in gonadotropin-releasing hormone antagonist cycles does not impact outcome: a retrospective cohort study..
For me, clinical care is my main priority. My passion is helping couples build families. When you’re not at the office working, how do you like to spend your time? I am an avid golfer and try to play every week or as much as I can. I also enjoy spending time with my three grandchildren and family. Where is your favorite place to unwind? My home in New Jersey is very serene. I like to unwind there.